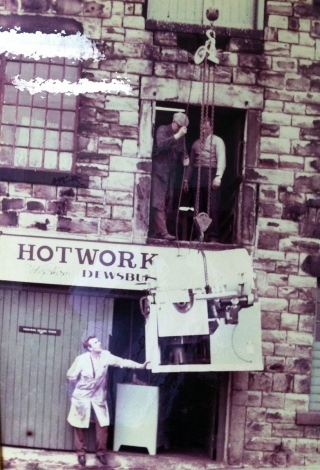 In 1962, Trevor Ward founded the original Hotwork company in Dewsbury, West Yorkshire, UK. Mr. Ward had invented a special gas burner, and he formed the company to capitalize on his invention. Initially the burner design was patented and the company grew rapidly due to the utility of his invention for furnace heatups and refractory dryout. In order to support the growth of his company, Mr. Ward granted regional licenses under his patents and a network of independent companies began to operate around the world utilizing the original intellectual property. In 1965, Hotwork-USA was formed as a licensee of Mr. Ward’s company for North and South America. The US company has prospered and continued to develop and expand the original technology transferred from Mr. Ward. Over time, Mr. Ward’s company grew rapidly, expanded product lines, and then fell on hard times. In the 1990’s it became insolvent, divested product lines, and a remnant English entity (Hotwork Europe LTD) was eventually purchased and shut down by Hotwork-USA. Today, there are still several companies operating around the world utilizing Hotwork in their name in some form. Most of them have their roots in an association with Mr. Ward’s original company. Some of them have absolutely no association with Hotwork-USA. Over the decades, Hotwork-USA continued to improve the technology, expand the service offering, and grow geographically. Hotwork-USA also started or acquired subsidiaries such as Hotwork Canada and Hotwork Australia. Today you can recognize Hotwork-USA by the trademark (Hotwork®), the web address www.hotwork.com, and by the Lexington, KY USA headquarters.